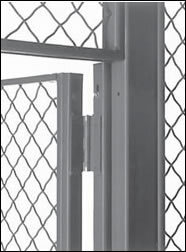 standard bolted systems. 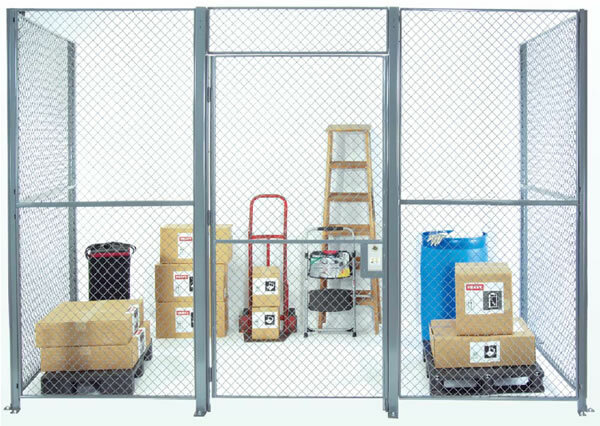 Secure storage is achieved through the strength of 10-Ga. woven wire panels and 2-1/2"
steel posts. 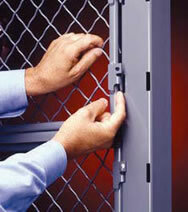 Unlike bolted partitions, the system cannot be easily defeated with common hand tools. in the industry. 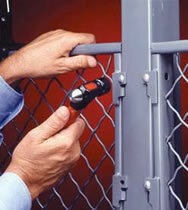 The patented hook fastener slips in easily and locks securely into a 2-1/2" sq. post. 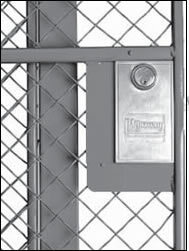 Once secured, the internal clip is much more secure than a standard bolted connection, which may be accessed from the outside. The hook fastener is not visible or accessible from the outside. 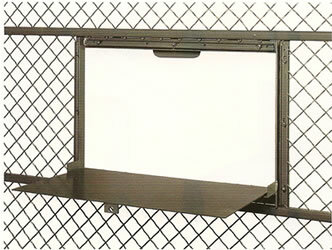 The diamond wire weave provides a built-in diagonal brace for added strength and security. All windows have padlock hasps to provide for additional security. 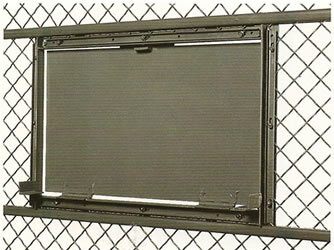 Service windows are installed at the factory. 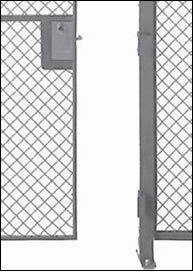 window in either the opened or closed position. window is hinged at the bottom and swings up to close. 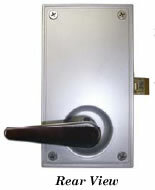 secure with heavy duty hinges and avariety of styles. together for single door operation. mounted either inside or outside of the partitioning. 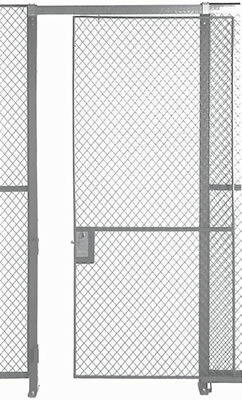 Full height single sliding doors are available for the full height of stock partitions. 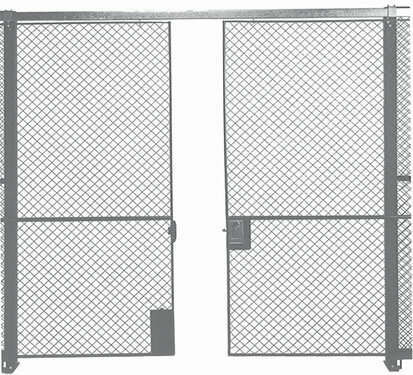 Doors 6' or wider are shipped "knocked down" in 2 sections. Model # Description - L x H Lbs. Kit Lbs. Total Lbs. Price Ea. 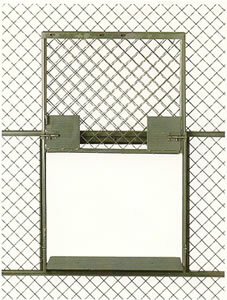 Enclosure from your source for material handling equipment.